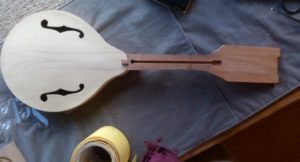 Mandolin in progress, just about to start working on the neck. In a major coup Kiwigrass have scored a custom Kiwigrass van der Gaag mandolin, made from all New Zealand native timbers. Johan is hard at work right now creating this unique masterpiece and it looks beautiful as it emerges from raw wood. 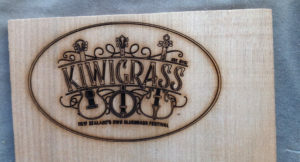 This will be going into a fundraising raffle to help get Kiwigrass a step closer to the goal of a sustainable, ongoing festival for all of bluegrass-loving New Zealand. Second prize will be a Trenwith practice banjo, or quiet banjo. Made of all timber, this little banjo allows you to practice your mad bluegrass licks without driving your neighbours, partner, kids, or flatmates crazy. A must-have for all keen banjo players! You’ll be able to buy raffle tickets online prior to the festival, or at the festival itself.